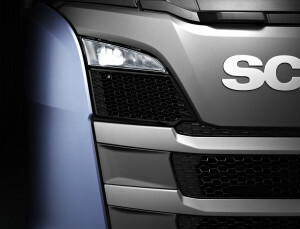 The European Commission has fined Scania €880 million for taking part in a commercial vehicle cartel. The fine marks the end of a 14 year investigation that has seen six manufacturers fined a total of €3.8 billion for colluding on prices. The other companies, Daimler, DAF, Iveco, and Volvo/Renault, accepted liability and reached a settlement with the Commission a year ago. However, Scania decided to not settle so the case continued until now. MAN, Scania’s sister company with the Volkswagen group, was the first to reveal the existence of the cartel and consequently received immunity from the fines. The Road Haulage Association has launched a claim for damages against the truck manufacturers which has attracted the support of some 2,000 hauliers operating some 120,000 trucks. In a statement on the fine, EU competition commissioner Margrethe Vestager said: “The truck producers met regularly to manage the cartel. For the first few years of the cartel, this involved senior managers from the companies’ head offices meeting frequently. From 2004 onwards the cartel was organised at a lower level by the truck producers’ subsidiaries in Germany. Scania was an active member of the cartel and was responsible for organising some of the meetings. “First, the truck producers discussed the “gross price list” increases they were planning for medium and heavy trucks and coordinated these with each other. These gross list prices are the basis for pricing in the trucks industry. The final price paid by buyers is then based on further adjustments, done at national and local level, to these gross list prices. “Second, the truck producers also discussed their response to increasingly strict European emissions standards. These have been progressively tightened over the years, reducing the acceptable limits for exhaust emissions from trucks. “The truck producers coordinated both on the pricing for the new technologies that were needed to meet the stricter standards and on when to actually introduce new technologies,” said Vestager.